This table in this tab contains all of the statements and the documents that were produced by the system. Also, this tool is used by trading companies to send documents to their clients, regarding their activity. If the company has an automatic statements sending system, the table will also display these statements. Created On The date of the document production. Status The status of the sent document: Don't Send by Email / Waiting on queue / Error (Rejected) / Sent OK. Send Confirmation The time of receiving the confirmation for successfully sending the document. Target EMail Address The addressee of the document. Each row represents a formal document that was sent to the client. Click on Preview File to view the file. 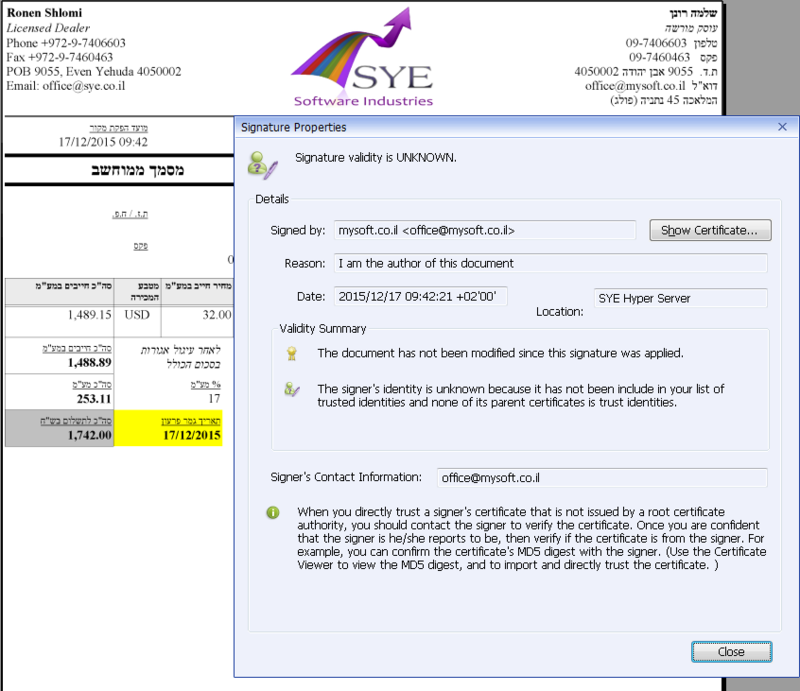 By using some of the common softwares for files such as PDF, the user can open the file and view its details as well as any attached digital signature.